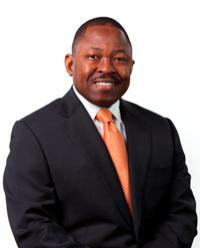 As founder, Dr. Kase L. Lawal leads a diverse group of affiliated companies for CAMAC International Corporation. 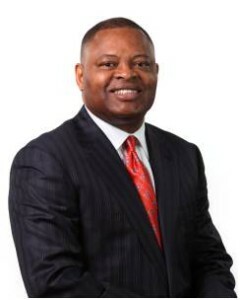 Dr. Lawal is the Chairman of the Board for CAMAC International Corporation, Vice Chairman of the Unity National Bank, the only licensed and federally insured African-American owned bank in Texas. In May 2016 Dr. Lawal retired from his position as Chairman, President and Chief Executive Officer of the global energy firm Erin Energy Inc., (NYSE Amex: ERN) he founded in 2010. Committed to public service, Dr. Lawal provides key leadership on several boards and commissions. From June 1999 – September 2013 he served as a Commissioner on the Port of Houston Authority Board, and the first-ever Vice Chairman of the largest Seaport in foreign tonnage in the United States with over 125 billion dollars in cargo value. Dr. Lawal also served as Vice Chairman of the fourth largest airport system in the United States, the Houston Airport System Development Corporation (HASDC), from November 2001 through April 2014. He is also a member of the National Urban League’s Board of Directors and the Fisk University Board of Trustees. Dr. Lawal earned a bachelor’s degree in chemistry from Texas Southern University and a Master’s of Business Administration in Finance and Marketing from Prairie View A&M University. He was awarded an honorary doctorate in philosophy from Fort Valley State University and a Doctor of Humane Letters honoris causa from Texas Southern University. Kamoru Lawal is the Chief Executive Officer and President of CAMAC. Mr. Lawal manages the CAMAC investment portfolio and directs the merger and acquisition activities for the holding company. He also has responsibility for the company’s trading activities. Mr. Lawal is a member of the Harvard Club of New York, Texas Southern University Foundation board and a Director on the Unity National Bank Board. He is an alumnus of the Harvard Business School’s Advanced Management Program. Mr. Lawal graduated from Texas Southern University with a bachelor’s degree in accounting. Karim Souidi is Senior Vice President Business Development responsible for driving the growth of CAMAC’s oil trading activities. 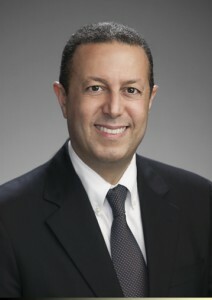 Karim has over 30 years of experience in the oil industry. He has lived and worked in several continents, trading the full range from crude oil to refined oil products. Through his knowledge of trading, operations and banking he has worked for trading companies specializing in “niche” markets and has contributed to the expansion of their business. Most notable was nearly 15 years with the Masefield Group (an oil trading house based in London) as a partner. Karim holds a master’s degree in Economics and a master’s degree in Political Science from the University of Grenoble, France. 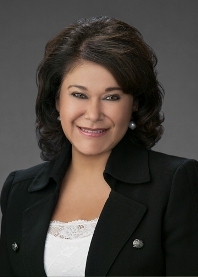 Rose Valenzuela is Senior Vice President Administration and Corporate Affairs. Mrs. Valenzuela’s responsibilities include managing corporate information technology infrastructure, human resources, corporate affairs and administrative services. Mrs. Valenzuela holds a bachelor’s degree in Business Computer Information Systems and a minor in Business Administration from the University of Houston; she obtained her master’s in business administration from the University of Phoenix and a master’s in Spanish from UANL in Monterrey, Mexico. Mrs. Valenzuela is a member of the Society for Human Resources Management, Association of Women in Computing, National Association of Professional Women, National Association of Female Executives, and the National Hispanic Professional Organization.